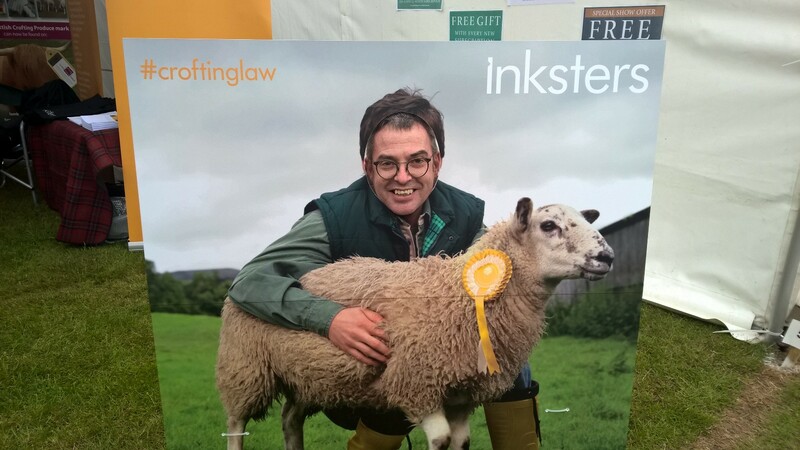 Inksters are taking our prize winning sheep ‘Inky’ to the Royal Highland Show again this year. Inky went down a storm last year with crofters, children, politicians and even a dog putting their heads into the picture to become, momentarily, Inky’s proud owner! Inksters are sharing a stand with the Scottish Crofting Federation and Registers of Scotland (Crofting Register) on 4th Avenue. Inksters’ crofting lawyers will be dispensing crofting law advice to all who need it. There will also be an opportunity to buy Inksters Select Tea in conjunction with Tchai Ovna House of Tea and a competition to win a bottle of Pinkster Gin. We are delighted to join the Scottish Crofting Federation again for this year’s Royal Highland Show. With the controversy currently surrounding the stance by the Crofting Commission on Common Grazings funds we anticipate many questions on that hot topic. The show started today and continues through to Sunday. This entry was posted in Agricultural Shows and tagged Brian Inkster, crofters, Crofting Commission, Crofting Register, Inksters Select Tea, Inksters Tea, Inky, Inky the sheep, Pinkster Gin, Registers of Scotland, Royal Highland Show, Scottish Crofting Federation, sheep, Tchai Ovna, Tchai Ovna House of Tea on June 23, 2016 by Brian Inkster. As indicated previously I am still catching up with news of ‘The Common Clearances‘ since I returned from holiday. One news item in the saga from last month involved a meeting called by the Crofting Commission with shareholders of the Mangersta Common Grazings (their committee having been removed from office by the Crofting Commission). The Crofting Commission met with shareholders of Mangersta common grazings today, Tuesday 17 May. The meeting was productive and the Commission would like to thank shareholders for their positive contribution. The Crofting Commission conducted a closed meeting to give shareholders information on the current state of their common grazings finances as determined by the Commission appointed Grazings Constable. The meeting has also provided opportunity to seek an agreement on the best way forward to ensure that the committee’s significant level of funds is distributed to shareholders appropriately. The Commission are committed to achieving a resolution in Mangersta and would like to encourage shareholders to continue to work with us, and hope that this leads to the appointment of a new grazings committee in the near future. The Commission wants to encourage the good shared management of common grazings across the crofting counties and the most effective way to do this is through properly constituted grazings committees. Clear grazings regulations are the most effective way to safe guard the future common grazing land for the benefit of all crofters. The Former Committee members and clerk to Mangersta Common Grazings have expressed “profound concern about the implications for the whole crofting system of the actions now being pursued by the Crofting Commission”. 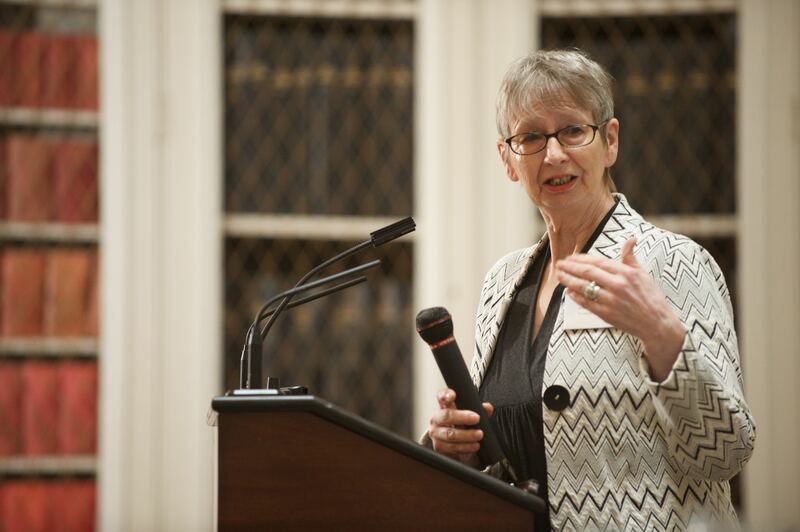 The statement from the group – who were removed from office on the orders of the Commission – followed a meeting convened by the Commission to explain its position. This is no longer about Mangersta or any other specific village which the Commission has intervened in. It is about the very existence of the crofting system on any kind of viable, community basis. The position of the Commission is that all money coming into a village for agricultural and environmental schemes must be distributed to individual shareholders, no matter where they live or what their contribution to the crofting life of the village is. They say that these payments should be declared for the purposes of taxation – the phrase used was that they needed to be ‘taxed and cleaned up’. Individual shareholders should then be asked to make payments back into the Grazings Committee for the purposes originally intended. In terms of crofting, this is completely mad and unsustainable. What Grazings Committee is going to apply for any scheme under these conditions? When shareholders at the meeting questioned the legality of the Commissioners proposals they were told that if all shareholders did not accept them, the Commission would not allow Mangersta Grazings shareholders to reform a committee. The statement repeated the call for an inquiry into the operations of the Crofting Commission and also asked for an urgent debate in the Scottish Parliament to seek clarification on the issues involved. At the outset of the meeting, the chairman, William Swann, over-ruled objections to the unannounced presence of the Crofting Commission convener, Colin Kennedy, who did not participate in the discussion. Mr Swann said that Mr Kennedy has a ‘conflict of interest’ but would not ask him to leave the meeting. Mr. Swann also refused to respond to questions about the legality of the Commission’s actions in removing the grazings clerk and committee members from office replacing them with a Grazings Constable. He said that only the Scottish Land Court could rule on that matter. The legal advice received by the Mangersta shareholders is that there was no basis in law for the Commission’s actions. The Crofting Commission has not responded with any legal argument as to why they consider their actions to be legal. They have simply stated that they consider their decision to be a final one and they have no authority to revisit their own decisions in these circumstances. So they appear to consider that they can do as they please with no real regard to the law and if decisions are illegal they cannot reverse them! 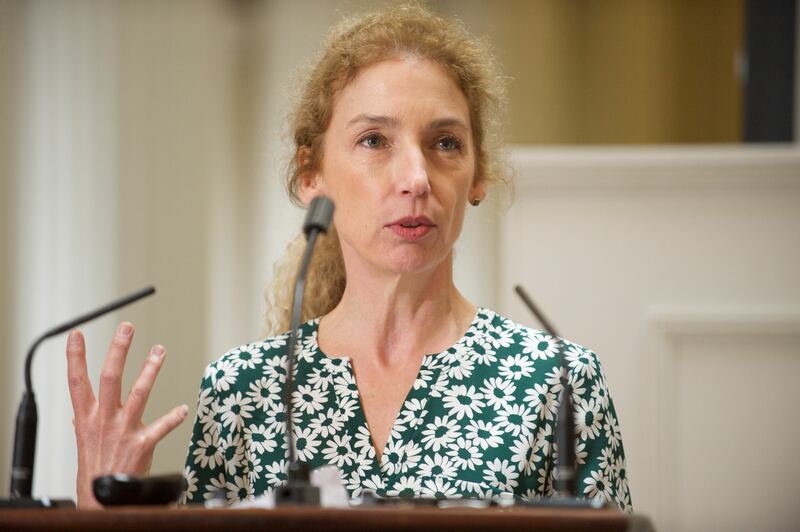 This is also self evident from the appearance at the meeting unannounced, but with an acknowledged conflict of interest, of convener Colin Kennedy. It is stated in Paragraph 13(2) of Schedule 1 to the Crofters (Scotland) Act 1993 that ‘the convener must, if present, chair meetings of the Commission and any of their committees’. He didn’t chair this meeting, remained silent and allowed Mr. Swann to chair. Yet again the Crofting Commission simply rips up the rule book. No public body should be allowed to behave like this and now that we have a new Cabinet Secretary with responsibility for crofting, namely Fergus Ewing, he will hopefully put a stop to it. If Mr. Swann considers that only the Scottish Land Court can rule on the matter then the Crofting Commission should be making an application to the Land Court under Section 53 of the Crofters (Scotland) Act 1993 for confirmation as to the legality or otherwise of their actions. Until such time as they do so, and in the absence of any legal argument to the contrary, my advice to any Grazings Committee who has been dismissed and replaced by a Grazings Constable is to treat any actions by that Constable as being null and void and carrying no legal authority. The Crofting Commission is a statutory body which must act within the law. This affair has opened up issues which are fundamental to the whole crofting system and there is no confidence in the Crofting Commission, left to its own devices, to act in the best interests of crofting or in accordance with their statutory remit. Urgent intervention is now required. This could be seen as blatant intimidation. 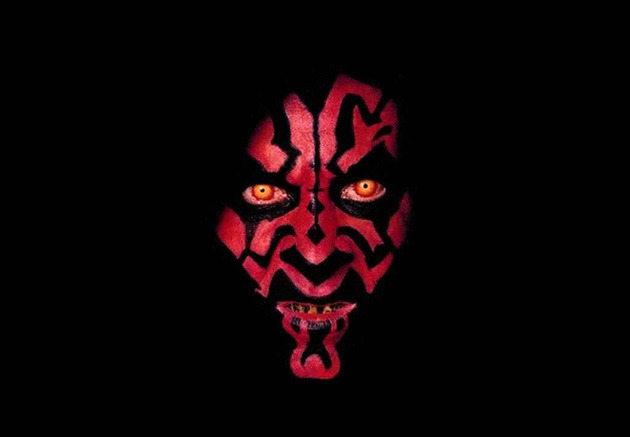 It is an old trick to bring someone along to a sensitive meeting who sits in the background as a menacing presence. Perhaps this was not the intention, but it was very poor diplomacy. Apparently shareholders attending asked that he be removed from the meeting but the chair, William Swan, said that, although Mr Kennedy had a conflict of interest, he would be allowed to stay. We are simply astonished. At every turn the Commission seems bent on thwarting this process and opening itself to further criticism. We were encouraged to hear of the meeting and felt the Commission was trying for reconciliation, but this latest misjudgement will add to the grave concern felt by everyone who cares about crofting’s well-being. Given how the Crofting Commission handled the meeting it is hard to see how they could put such a positive spin on it. The Convener, with an acknowledged conflict of interest, should quite simply not have been there. That in itself could have made all the difference and been the start of the Crofting Commission rebuilding their shattered credibility. The opposite has been the case as subsequent events have testified. This entry was posted in Common Grazings, Crofting Commission and tagged Brian Inkster, Chair of Scottish Crofting Federation, Colin Kennedy, Common Clearances, Common Grazings, Common Grazings Committee, conflict of interest, Convener of Crofting Commission, Crofters (Scotland) Act 1993, Crofting Commission, Crofting Commissioners, David Campbell, Fergus Ewing, Fergus Ewing MSP, Fiona Mandeville, Grazings Constable, Inksters, Mangersta Common Grazings, Mangersta Common Grazings Committee, Marina Dennis, menacing presence, Scottish Crofting Federation, Scottish Land Court, Scottish Parliament, William Swann on June 14, 2016 by Brian Inkster. 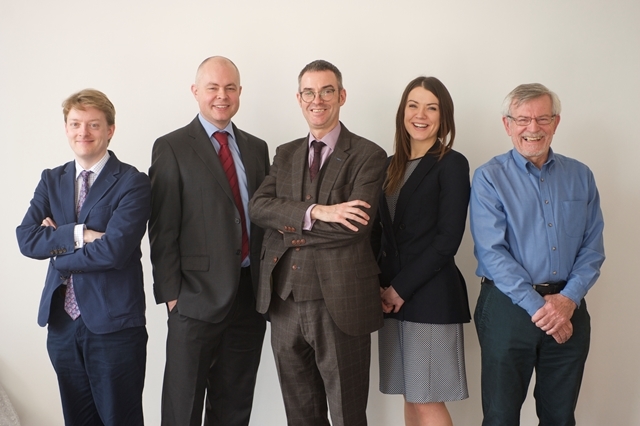 Inksters recently strengthened their crofting law team by the addition of three new team members. Derek Flyn joins Inksters as a crofting law consultant. 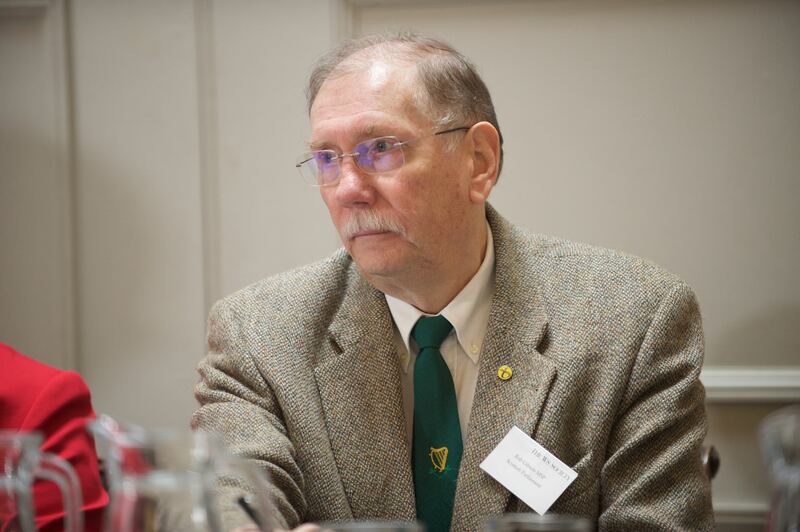 Derek is one of the best known and most highly respected crofting law experts in Scotland. He co-wrote the first book on crofting law in 1990 and is currently writing a new up-to-date book on crofting law with Keith Graham. He was in recent years the Chair of the Scottish Crofting Federation and continues to be their Parliamentary Spokesman. Derek, together with Keith Graham, produced the Crofting Law Sump Report which highlighted to the Scottish Government in 2014 all of the problem issues requiring to be addressed in crofting law. This is likely to lead to new crofting law legislation during the term of the new Scottish Government. Derek lives in Beauly and has strong connections with the Isle of Skye where his wife comes from and where he once worked. Derek will be assisting the crofting law practitioners at Inksters and providing them with specialist advice on complex crofting law matters. Angus Mackay also joins Inksters. He is a legal consultant with a specialist interest in Community Empowerment, Land Reform and Renewable Energy. 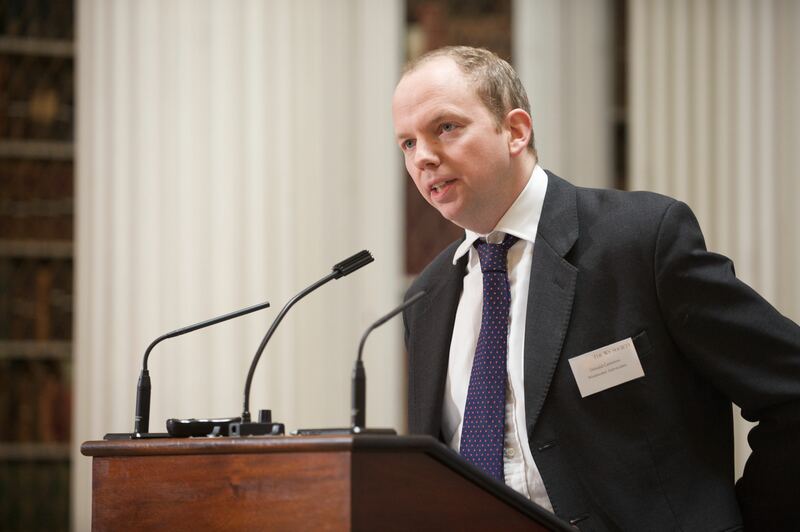 Angus has worked for large commercial law firms and latterly for a renewable energy company. He will be dealing with general crofting and property transactions and giving specialist assistance in community acquisitions and renewable energy schemes. Angus comes from the crofting township of Melness in Sutherland. Evonne Morrison is joining Inksters as a Trainee Solicitor. Coming from Shetland she has an interest in crofting law and will be assisting the team in day to day crofting transactions/cases. These three new team members join Brian Inkster and Martin Minton to provide Inksters’ clients with a formidable crofting law team of five. Brian Inkster has dealt with crofting law matters for over 25 years and appears in the Scottish Land Court regularly and is often called upon to provide opinions on complex crofting law matters. Brian is the Hon Secretary of the Crofting Law Group, a member of the Crofting Group of Scottish Land & Estates, the Cross-Party Group on Crofting at the Scottish Parliament, the Scottish Government Crofting Stakeholder Forum, the Crofting Register Stakeholder Forum and the Crofting Legislation Stakeholder Consultation Group. Brian is a regular contributor at crofting law conferences and blogs about crofting law on this blog. 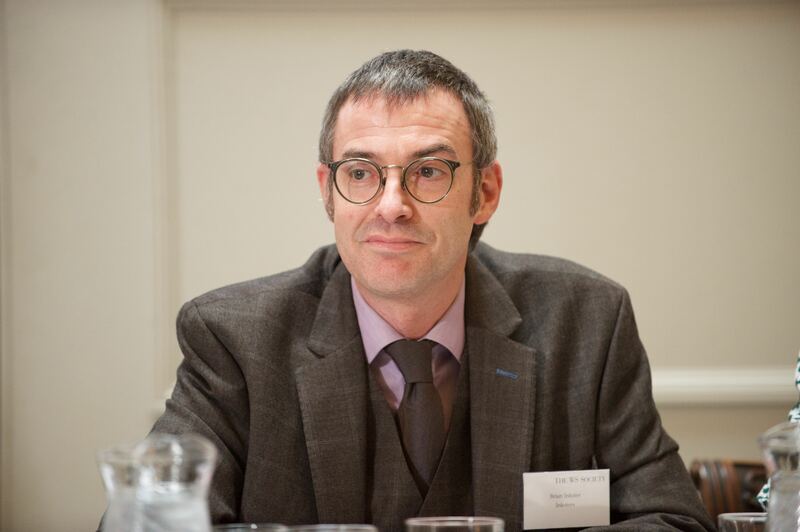 Martin Minton is a solicitor who has been with Inksters for five years concentrating on crofting law. Martin deals with crofting property transactions and disputes. He also deals with wills and executries involving crofting issues. Martin comes from a crofting family in Dundonnell near Ullapool. Martin has contributed articles and legal updates on crofting law for various publications and for this blog. He is the editor of the Crofting Law Group Newsletter. Inksters’ crofting law team provide members of the Scottish Crofting Federation with a crofting law helpline. If you need to call in the ‘Crofting Law A-Team’ then phone Rose Sullivan on 0345 450 0123 and she will direct you to a member of the team. Alternatively e-mail the crofting law A-Team or use the Contact Form on this blog to do so. This entry was posted in Crofting Lawyers and tagged A-Team, Angus Mackay, Beauly, Brian Inkster, Chair of Scottish Crofting Federation, Common Clearances, Common Grazings Funds, community acquisitions, Community Empowerment, crofting law, Crofting Law A-Team, crofting law consultant, Crofting Law Group, crofting law helpline, Crofting Law Sump, crofting solicitors, Derek Flyn, Dundonnell, Evonne Morrison, Inksters, Isle of Skye, Keith Graham, Land Reform, Martin Minton, Melness, Parliamentary Spokesman, renewable energy, renewable energy schemes, Scottish Crofting Federation, Scottish Government, Scottish Land and Estates, Scottish Land Court, Shetland, Sutherland, Ullapool on June 13, 2016 by Brian Inkster. Following my recent blog post on the 2017 Crofting Elections Consultation being flawed there have been calls for Shetland and Orkney to remain separate constituencies in the 2017 crofting election. The Shetland Times reported online yesterday that Liberal Democrat candidate for Shetland in the Scottish election, Tavish Scott, was of the view that Shetland and Orkney should be considered as separate constituencies in the 2017 crofting election. Shetland’s crofting communities face different challenges to those in Orkney, but yet again the Scottish government is proposing to ride roughshod over the needs of local people. The SNP simply does not understand these differences. Already we have ministers who have imposed a one-size-fits-all approach, failing to take into account the unique nature of crofting in the isles. 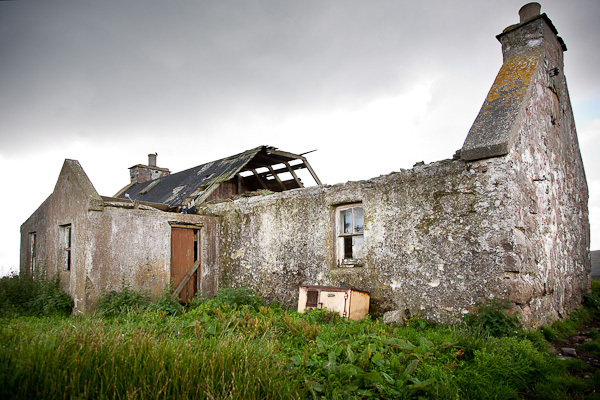 Already crofters are spending more time meeting the demands of regulation and waiting for payments that have been delayed by months. The consultation needs to offer something different: separate constituencies for Orkney and Shetland in the 2017 crofting election. Diversity between our crofting communities should be encouraged and supported but the SNP does not appear willing to even entertain that idea. Regarding constituencies, my position is that Shetland remains a constituency on its own. It’s very, very difficult for whoever is the commissioner. It’s time consuming, expensive, and there are a large number of crofters to represent in Shetland as it is. Hopefully the consultation exercise will take account of such views resulting, if necessary, in the addition of a further elected crofting commissioner to allow the Western Isles to be split into two constituencies (if there does indeed exist the desire to do so) but not at the expense of unnecessarily and unreasonably combining Orkney with Shetland. This entry was posted in Crofting Commission and tagged 2017 Crofting Elections, Brian Inkster, consultation, Crofting Commissioner, crofting communities, crofting elections, Jim Nicolson, Liberal Democrat, NFU, NFU Shetland Chairman, Orkney, Scottish Government, Shetland, SNP, Tavish Scott, The Shetland Times, Western Isles on April 7, 2016 by Brian Inkster. 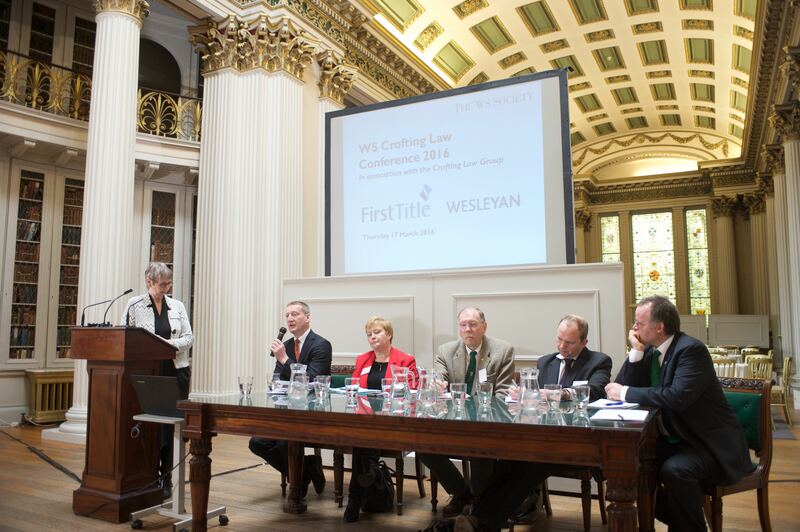 At the Crofting Law Conference (organised by the WS Society and the Crofting Law Group) held in the Signet Library, Edinburgh yesterday there was cross-party agreement on the need for crofting law reform. 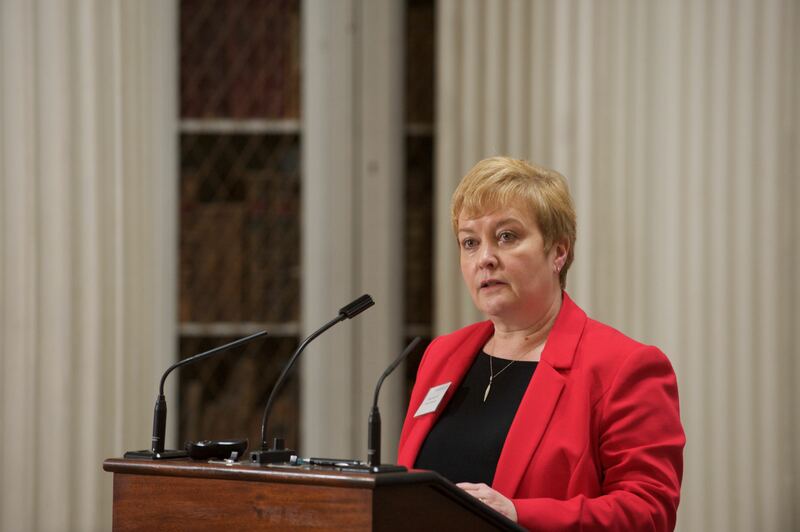 Trudi Sharp, Deputy Director of Agriculture, Rural Development and Land Reform, in the Scottish Government stood in at the last minute for Dr Aileen McLeod MSP, Minister for Environment, Climate Change and Land Reform, who was unfortunately unwell and unable to deliver the keynote address on behalf of the Government. The Minister is clear that crofting legislation should be well thought through with stakeholders and deliver law that is modern, simple and fit for purpose. The Conference heard the views of the opposition from Rhoda Grant MSP, Scottish Labour; Tavish Scott MSP, Scottish Liberal Democrats; Donald Cameron, election candidate for Scottish Conservative and Unionist Party; and Andy Wightman, election candidate for Scottish Green Party. This was followed by ‘Crofting Question Time’ moderated by Jean Urquhart MSP with the opposition MSPs/election candidates being joined for that session by Rob Gibson MSP, Scottish National Party. There was little in the way of disagreement about the need for crofting law reform. The 2010 Act is a mess and probably needs to be revoked altogether. The less said about the 2010 Act the better. It is one of the worst pieces of legislation ever passed by the Scottish Government. Crofting Law has been a mitigated mess and devolution has not helped take it forward. Both Tavish Scott and Rhoda Grant were of the view that crofting can mean different things in different areas. Shetland, for example, is very different to other areas that may work in a more communal way. They felt the current legislation does not recognise these differences. Donald Cameron was of the view that it was “time for crofting law to be for the crofters and not the lawyers”. 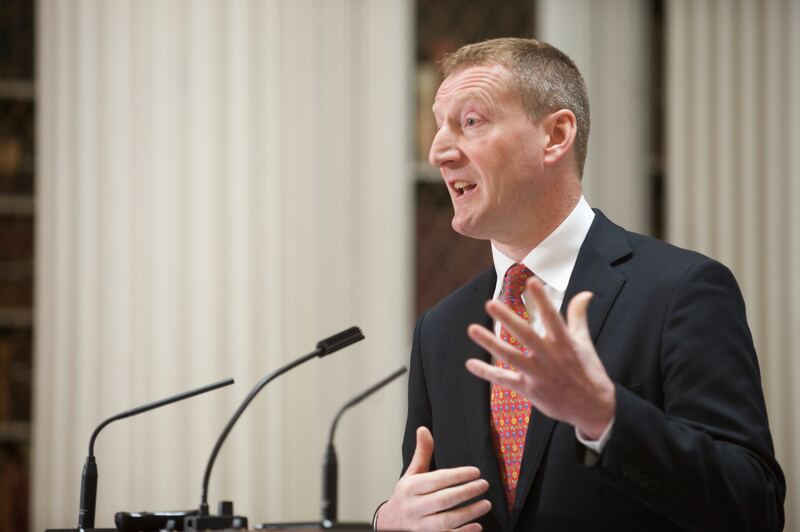 He warned though that “if you legislate in haste on crofting law you will repent at leisure”. Andy Wightman, quoting Dr Jim Hunter, referred to crofting law as a “highly unsatisfactory guddle”. It is heartening to see such cross-party support for crofting law reform. The word ‘mess’ was used more than once to describe the current state of crofting legislation. It is to be hoped that the next Scottish Government take cognisance of this and put crofting high on their agenda for new legislation during the next parliamentary term. This entry was posted in Crofting Conference, Crofting Reform and tagged Andy Wightman, Brian Inkster, Crofting Law Conference, Crofting Law Group, Crofting Reform (Scotland) Act 2010, Deputy Director of Agriculture, Donald Cameron, Dr Aileen McLeod MSP, Edinburgh, Jean Urquhart MSP, mess, Minister for Environment Climate Change and Land Reform, Rhoda Grant MSP, Rob Gibson MSP, Rural Development and Land Reform, Scottish Government, Signet Library, Tavish Scott MSP, Trudi Sharp, WS Society on March 18, 2016 by Brian Inkster. Ahead of the Crofting Law Conference in Edinburgh today The Scotsman have published an article with the headline ‘Crofters to lobby for key changes to ‘complicated’ laws‘. Crofting law is notoriously complicated and the waters have been further muddied after the 2010 Crofting Act. Crofting is unique in Scotland by having its own legislation and being a regulated system. It is therefore is essential that the legislation is fit for purpose. The act needed cleaning up before the 2010 changes. This is unfinished business. Unfortunately the 2010 introduced further errors and anomalies. 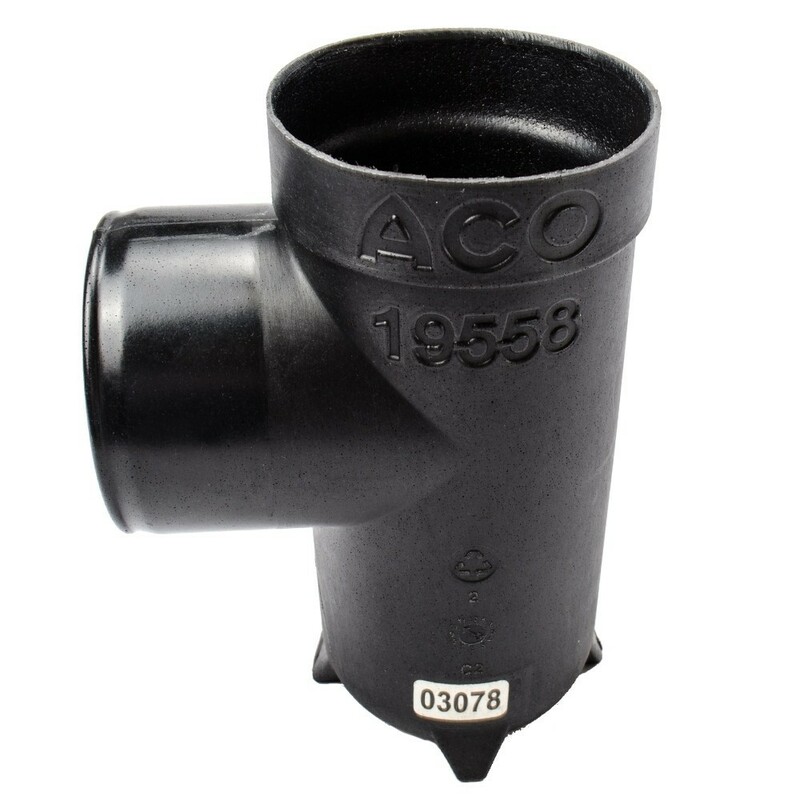 The Sump gathered 126 of these and probably the only way to address them is with a new act. Politicians are a bit reluctant to do this, but SCF is asking parliamentary candidates to finish the job. On Monday I will be spending much of the day arguing before the Scottish Land Court the significance of the Crofting Reform (Scotland) Act 2010 having deleted the word ‘or’ in a section of the Crofters (Scotland) Act 1993. The result could be an unintended consequence. This is a good example of the problems that the 2010 Act has been causing since its introduction. It was an extremely badly drafted piece of legislation on top of existing complex law. There remain numerous problems and issues in the legislation that can trip up the unwary on a daily basis. 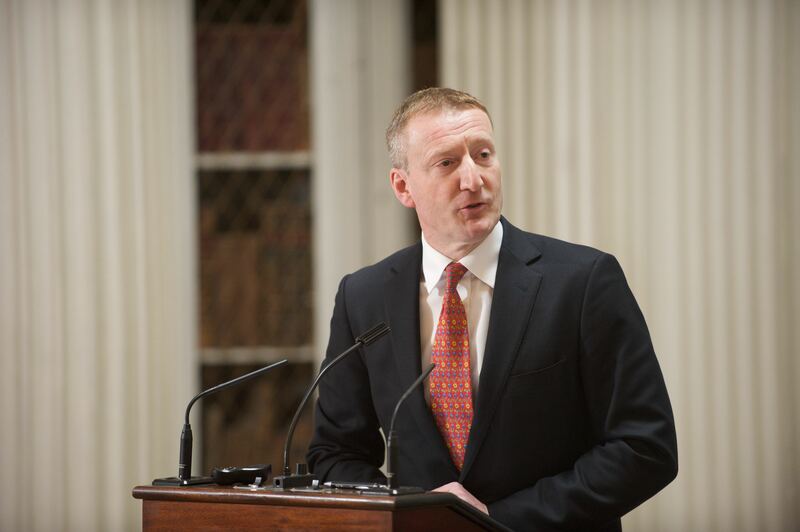 The current government pledged to resolve matters, and the next government really must seize the bull by the horns and sort the mess out once and for all. That will involve a comprehensive new crofting act that is well drafted, easily understood and designed to resolve the existing problems and not create any new ones. 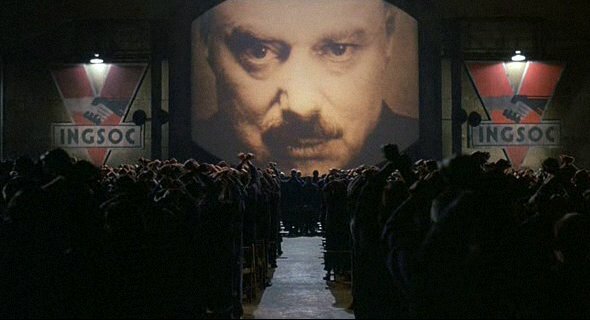 MSP Alex Fergusson has referred to recent crofting legislation being like the Hydra. You think you have solved a problem but suddenly two new ones appear. The next Scottish government simply can’t afford to let that happen again. We will provide a full report on today’s Conference after the event. This entry was posted in Crofting Reform and tagged Alex Fergusson MSP, Brian Inkster, Crofters (Scotland) Act 1993, crofting law, Crofting Law Conference, Crofting Law Group, crofting law hydra, Crofting Reform (Scotland) Act 2010, Hydra, Patrick Krause, Scottish Crofting Federation, Scottish Land Court, The Scotsman on March 17, 2016 by Brian Inkster. 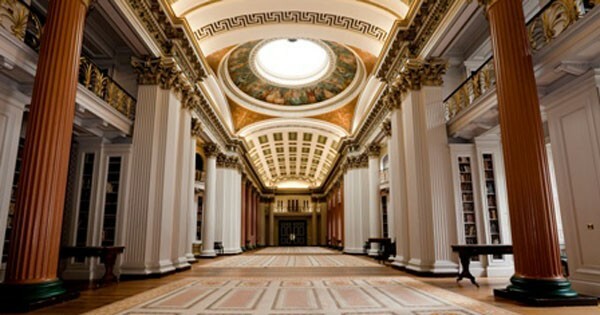 The calm before the crofting law storm at the Signet Library! 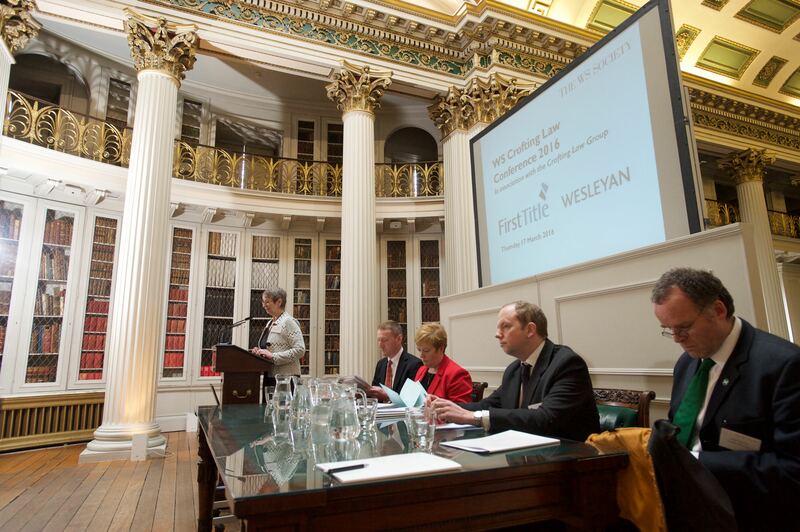 Part of this year’s Crofting Law Conference (organised by the Crofting Law Group in association with the WS Society) will take the form of a hustings on crofting law. With the Scottish Parliamentary Elections looming there is great interest in crofting circles as to what the next Scottish Government might do to resolve the many problems in existing crofting legislation identified by The Crofting Law Sump Report. 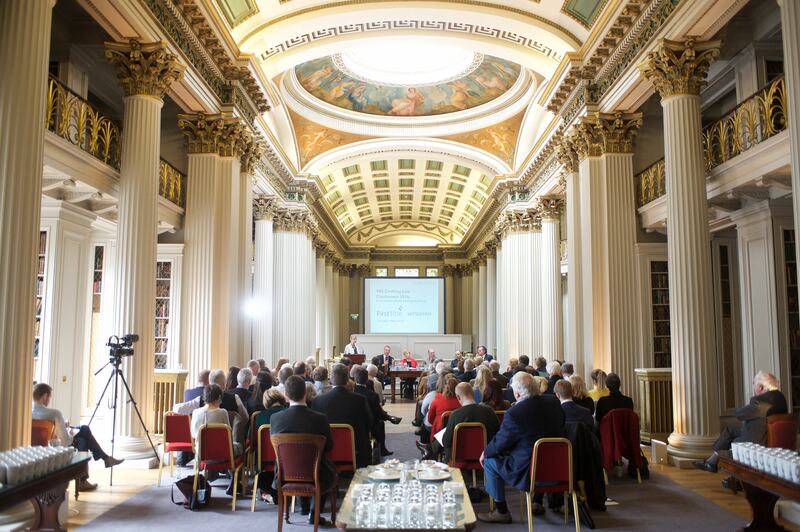 The conference will take place at the Signet Library in Edinburgh on 17th March 2016 and is Chaired by Sir Crispin Agnew of Lochnaw Bt., QC, Chairman of the Crofting Law Group. This entry was posted in Crofting Conference and tagged Andy Wightman, Brian Inkster, Catriona Maclean, Climate Change and Land Reform, Crofting Law Conference, Crofting Law Group, crofting law hustings, Crofting Law Sump, Crofting Minister, Crofting Question Time, David Findlay, Donald Cameron, Dr Aileen McLeod MSP, Eilidh Ross MacLellan, Inksters, Jean Urquhart MSP, Jill Clark, Martin Corbett, Minister for Environment, Rhoda Grant MSP, Rhona Elrick, Rod Maclean, Scottish Government, Scottish Parliamentary Elections, Signet Library, Sir Crispin Agnew QC, Tavish Scott MSP, WS Society on March 8, 2016 by Brian Inkster. There have not been any posts for a while on the crofting law blog. That is not because nothing has been happening in the world of crofting law. It is simply because the crofting lawyers at Inksters have been somewhat occupied over the past few months with activities that have kept us away from blogging. 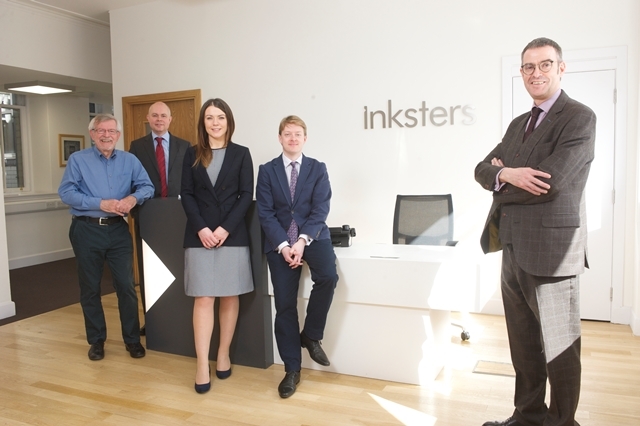 Inksters have moved into a new HQ in Glasgow and expanded staff numbers by four including a Gaelic speaking solicitor based in Glasgow and an Estate Agent based in Portree who will enhance the service Inksters can provide to crofters selling their crofts in Skye and Lochalsh and the surrounding areas. The new Estate Agent will also cover Inverness-shire, Fort William and Oban. Eilidh Ross of Inksters’ Portree and Inverness offices has been on maternity leave with Brian Inkster and Martin Minton covering for her during that period. Eilidh is now back at work from the beginning of May. With things settling back into place we will be able to catch up with some crofting law blog posts on here. Indeed we have at least five in the pipeline: A Review of crofting law in 2013 and a glimpse at what 2014 may have in store (an article from Brian Inkster that first appeared in the Scottish Legal News Annual Review 2014); ‘To buy or not to buy?’ and ‘Did the 2010 Act Equalise Availability of Crofting Grants?’ both by Eilidh Ross; a guest post on owner-occupier crofters by Derek Flyn; and a post by Brian Inkster on the recent Land Court decision on whether resumption of part of a common grazings triggers registration in the Crofting Register of all crofts with a share in that grazings. So keep an eye on the crofting law blog over the next few weeks as things will be far from quiet here in May. This entry was posted in New Blog and tagged Brian Inkster, crofting Estate Agent, Derek Flyn, Eilidh Ross, Gaelic speaking solicitor, Inksters, Inksters new HQ, Inverness, Martin Minton, Portree on May 4, 2014 by Brian Inkster. The Crofting Law Group has announced details of its Crofting Law Sump. The purpose of ‘the Sump’ is to gather together details of the significant problem areas within existing crofting legislation. During the recent passage through the Scottish Parliament of the Crofting (Amendment) (Scotland) Act 2013, MSPs were informed by practitioners who had been called to give evidence about the many problems in the existing legislation that were causing difficulties for crofters, landlords and others. 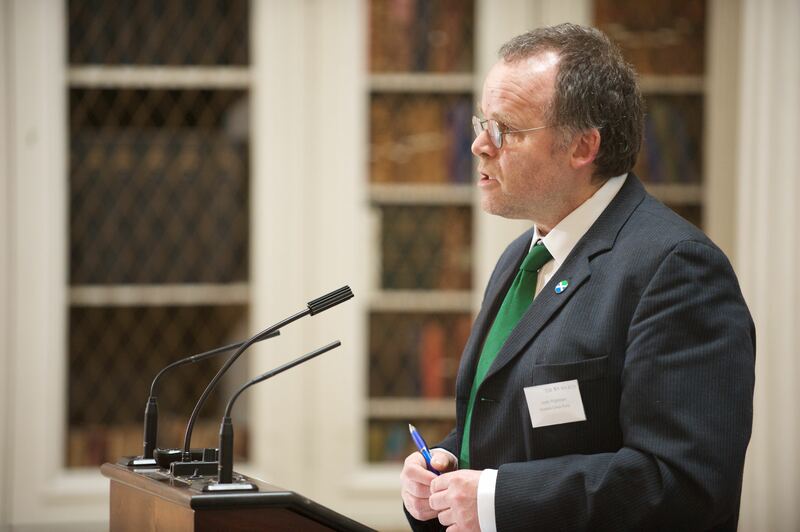 Paul Wheelhouse MSP, Minister for Environment and Climate Change with responsibility for crofting, gave an undertaking that his officials would investigate, in consultation with stakeholders, what the best method might be for dealing with these outstanding issues. The Sump has been set up to assist the Government in this process. It will be administered by Derek Flyn, retired crofting lawyer, and Keith Graham, formerly Principal Clerk of the Scottish Land Court. They will collate the issues and problems that are causing difficulties, prioritise them and indicate how the problem can be resolved. Their Report will be made available to the Scottish Government on completion. Submissions to the Crofting Law Sump will be taken up to the end of this year and should be sent by e-mail to sump@croftinglawgroup.org or can be tweeted to @croftinglawsump. Information concerning the Sump will be updated at www.croftinglawgroup.org. This entry was posted in Crofting Reform and tagged Brian Inkster, Crofting (Amendment) (Scotland) Act 2013, Crofting Law Group, Crofting Law Sump, Derek Flyn, Keith Graham, MSPs, Paul Wheelhouse MSP, Scottish Government on October 28, 2013 by Brian Inkster.